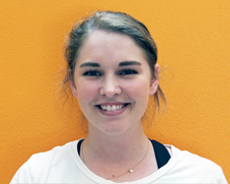 Carli has been working with kids since she was a teenager and is very excited to be a part of the EBC team! While attending Penn State for undergrad, Carli worked in various child care settings as well as in a cognitive psychology research lab. While attending Pitt for grad school, she was involved in early childhood education research. She also interned in Pittsburgh public schools as well as the LEND Center at the Children’s Hospital of Pittsburgh. At Pitt, Carli worked primarily with children with developmental disabilities. She hopes to continue that work throughout her life, eventually becoming a BCBA.